Rabbit 4-1BB, His Tag (41B-R52H9) is expressed from human 293 cells (HEK293). Human Mucin-1, Llama IgG2b Fc Tag (MU1-H5255) is expressed from human 293 cells (HEK293). ACROBiosystems provides a comprehensive panel of BCMA proteins, including the exclusive biotinylated BCMA (Cat. No. 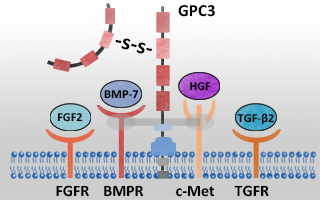 BCA-C82F4) and the monomeric BCMA (Cat. No. BCA-H522y). 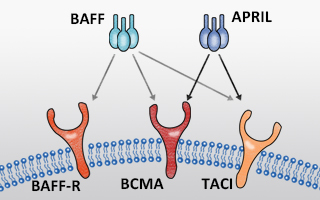 We also offer BCMA related proteins, such as BAFF and BAFFR proteins.